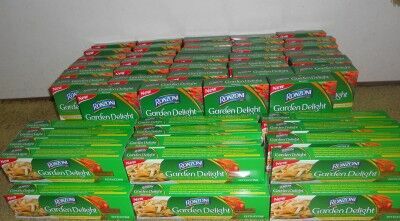 The 61 Ronzoni Garden Delight pasta packages had a retail value of $139.69 and were completely free after coupons. Readers and I have now donated over $30,000 worth of food to local food banks. If you would like to participate, I’d love to have you join. Not only will you be able to help your local food bank, you will learn to save quite a bit of money on your own grocery shopping. This entry was posted in Coupons, Penny Experiment and tagged free pasta, garden delights pasta, Ronzoni Garden Delights, Ronzoni pasta. Bookmark the permalink. 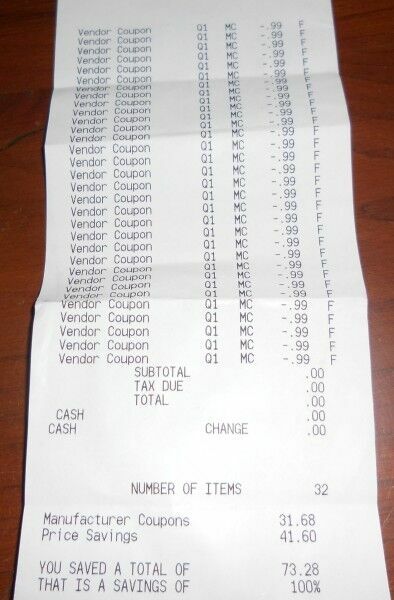 I know you’ve gotten this question a million times, but how do you manage to secure that many coupons (when you use ones that some in the Sunday paper)? I have been buying about 3-4 newspapers a week to get deals. I tried getting unsold papers late on Sundays from my local 7-Eleven but they told me that they give those back to the printer because they get credit for unsold papers. Don’t ask for the entire paper from 7-Eleven – ask if you can just take the coupon inserts from inside.